Anatolian Science is a world-wide of fully open access peer-reviewed journals platform covering a wide range of academic disciplines such as natural and applied sciences. As Anatolian Scinece scientific platform, the aim is to provide researchers, writers, academic professors and students the most advanced research improvement and opportunity to broad range of areas and to get activity in academic knowledge exchange between them. Due to open access policies, published material can be copied, stored and distributed without obtaining permission as long as a correct citation to the original publication is given. 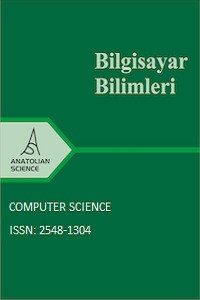 Journal of Computer Science (JCS) is an international blind peer-reviewed journal. It publishes original and high-quality unpublished research papers in all areas of computer and electrical sciences (engineerings). JCS gives oppurtunity to researchers and academic professors to share their knowledge with other researchers and professors in world-wide area. Anatolian Science is a world-wide of fully open access peer-reviewed journals platform covering a wide range of academic disciplines such as natural and applied sciences. As Anatolian Science scientific platform, the aim is to provide researchers, writers, academic professors and students the most advanced research improvement and opportunity to broad range of areas and to get activity in academic knowledge exchange between them. Manuscripts submitted to our journals must be written in English or Turkish and Turkish paper must contain English title, abstract, and keywords. Papers accepted for publication vary from 5 to 20 pages in single column format. All sides of paper must be 2.5 cm. The main text is in Times New Roman style and in 12 sizes. A title must be in capital format and font size must 14. Sub-title must be in 12 cm with initial in capital. Full name for all authors should be given; The names of multiple authors are separated by a comma; Provide the full affiliation for each author including academic affiliation (or postal address), city, postcode, country, e-mail(optional); If multiple authors have contributed to the article, details of the corresponding author should be clear. Email address is compulsory for the corresponding author. The font size must be 10. The abstract should concisely state the purpose of the investigation and summarize the important conclusions. It should be a single paragraph and text font size is 10 in Times New Roman. Include 3–5 keywords or short phrases for indexing (font size is 10). An appendix may be included (and is often helpful) in mathematical or computational modelling. The acknowledgements section is where you may wish to thank people indirectly involved with the research (e.g., technical support; loans of experimental facilities; comments or suggestions during the creation of the manuscript). However, it is important that anyone listed here knows in advance of your acknowledgement of their contribution. Do not include dedications. Every table must have a unique caption placed at the top. The font size of caption is 10. Table tools in Microsoft Word are strongly recommended for inserting a table. Each figure should have a caption. The caption should be concise and typed separately, not on the figure area; If figures have parts (for example, A and B), make sure all parts are explained in the caption. The font size is 10. Figures must be created at a minimum resolution of 300 dpi. The equation number should be placed in parentheses to the right of the equation. All sources cited in text must appear in the reference list, and all items in the reference list must be cited in text. With APA style. All author names, Book title, Publisher, Country, Year. e.g. R. F. Voss, J. Clarke. Algorithmic Musical Composition, Silver Burdett Press, Londyn, 1986 .
e.g. W. Zabierowski, A. Napieralski. Chords classification in tonal music, Journal of Environment Studies, Vol.10, No.5, 50-53 . All author names, Title, Conference title, pp, Year. e.g. A. Abiewskiro,. Z. Moplskiiera. The Problem Of Grammar Choice For Verification, TCSET of the International Conference , House of Lviv Polytechnic National University, 19-23 , 2008. Each manuscript passing initial screening will be subjected to rigorous and anonymous peer-review by a minimum of 2 peer reviewers. Referees who review a manuscript remain unknown to the authors. Under the premise of legal publishing, the corresponding author is required to grant an exclusive licence to Anatolian Science on behalf of all authors. If authors may use their own material in other publications, On the acceptance of paper, authors will be invited to fill in an electronic copyright transfer form. If the form hasn’t been received along with the final revised manuscript, the publication of your manuscript may be postponed. Although this is an open access journal, it is now free to publish paper in this journal. Paper submission is also free.